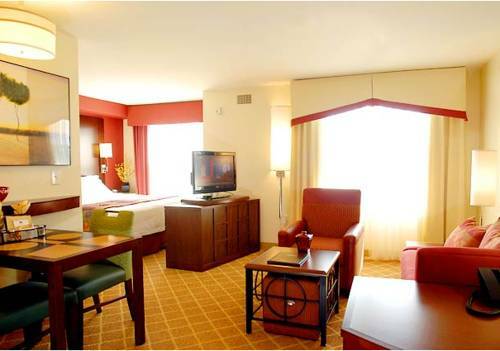 Marriott Residence Inn Gulfport has all the modern comforts of home with a brand new contemporary feel. Conveniently located adjacent to the Gulfport-Biloxi International Airport, we are within minutes to local dining and the beautiful beaches of the Gulf Coast. Our all-suite hotel offers studio, one and two-bedroom suites featuring all new tile, carpeting, pull out sofa sleepers, as well as a fully-equipped kitchen that includes coffeemaker, microwave oven, and residential-sized appliances. Dont feel like going to the store? We offer a complimentary grocery shopping service to keep your fridge and pantry stocked. Stay focused while working on the road with our well-lit work desk with ergonomic chair and fast, free Wi-Fi. Start your day off right with our complimentary hot breakfast buffet with convenient to-go offerings. Feeling social? Join us Monday Wednesday nights at our social event The Mix, featuring complimentary appetizers and drinks. Complimentary Airport Shuttle offered.